We have now donated three complete toybags for pre-schools in Holyoke and Springfield. These are rolling suitcases filled with movement toys and small props to help teachers in their pre-school classrooms. This has become a focus for our community outreach, as we work to have a lasting impact on local children. The three toy bags so far were donated to sites run by Children’s House. I have been involved with the Holyoke Children’s House program for more than 12 years, and wanted to start this toy donation program with staff I could be sure were motivated and interested. I did an evening staff training back in March for all three Children’s House sites, and was so impressed with the level of interest and enthusiasm that night that it was clear they would be a perfect choice for the first places to share the toy bags. 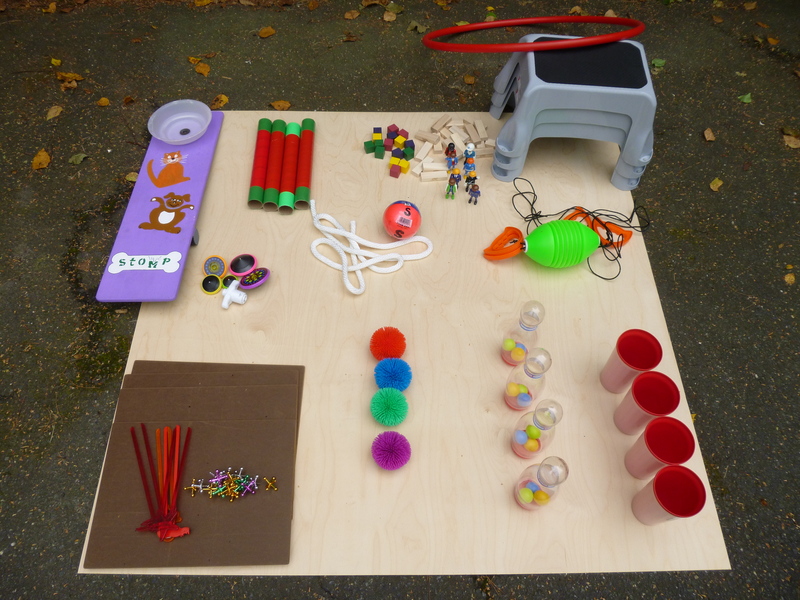 I have run teacher training sessions for a long time; part of my training involves showing and demonstrating how simple toys and props can be used in the classroom,to teach foundation motor skills and give children a wide range of satisfying motor challenges as part of these simple games and play. I give handouts that describe the toys, and the teachers get to see the toys and props during the training, but this is the first time I have tried going to the next step and giving out the toys and props for teachers to use. I think of it as not just teaching how to fish, but providing the rod, reel and bait!!! It’s been fun to bring the toys bags to each center and spend time with kids doing a demonstration of how the toys and props can work. It feels a little like Christmas being able to hand over the toy bags and just say “Have Fun”. We will be returning to each center in the next 6-8 weeks to get feedback on how the toy bags are working, and there are three more toys bags in the works, set to be donated in the next month. We wish to thank the Community Foundation of Western Massachusetts for their generous support for this project.